The T800 PLUS records images and video with a maximum resolution of 3264 x 2448. Easily connects to any telescope with a 1.25″ eyepiece adapter. 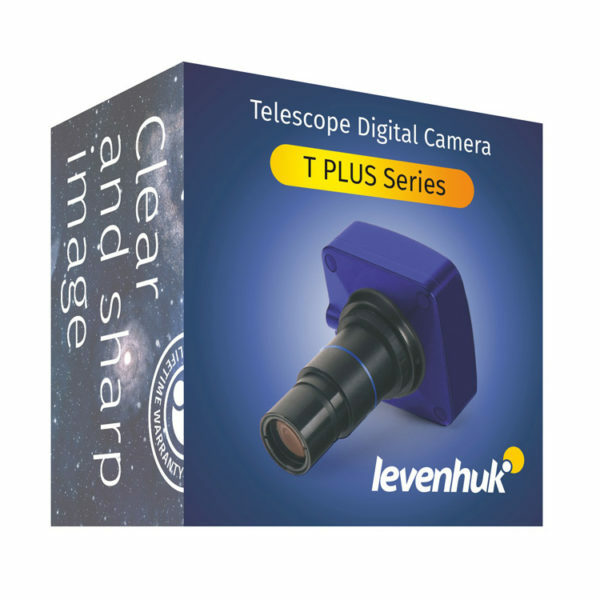 The Levenhuk T800 PLUS Digital Camera is the most powerful model of the Levenhuk T PLUS series. This 8-megapixel camera allows you to take pictures with a resolution of up to 3264×2448 pixels. You can watch the night sky and large astronomical objects with incredible detail. The camera allows you to photograph planets, the Moon, nebulae, and star clusters. With its help, you can make fascinating videos about space or broadcast your observations online. This camera works with any telescopes of any manufacturer. 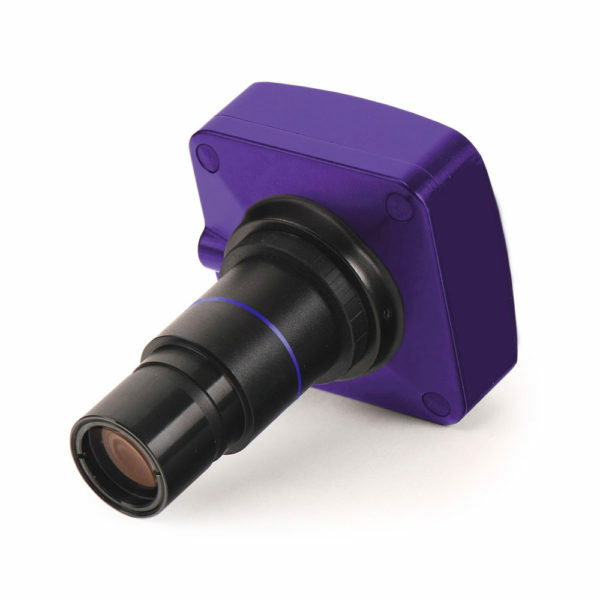 It can be installed in the 1.25″ focuser; a special adapter is included in the package. The camera works when it is connected to a computer via a standard USB cable. It does not require any additional power source as it is recharged directly from the computer. To work with the camera, special software is used (the CD is included). It allows you to process saved images: resize, adjust brightness and contrast, save pictures and videos. To ensure the best possible performance of your new camera, make sure your computer complies with the system requirements specified by the manufacturer. Compatible OS include Mac OS, Linux*, Windows XP, Windows Vista, and Windows 7/8/10. A USB 2.0 port is required to establish a connection. The latest version of Levenhuk Software for Windows supports eight languages: English, French, German, Polish, Russian, Simplified Chinese,Traditional Chinese, Turkish. * If Image Editor still cannot run on your platform or the characters are garbled, contact us and provide your platform info and kernel version. USB features USB 2.0, 480 Mb/sec. System requirements Mac OS 10.12, Linux Ubuntu 14.04, Windows XP/Vista/7/8/10 (32bit or 64-bit), CPU IntelCore 2 or above; RAM 2GB, USB port 2.0, CD-ROM.